A couple weekends ago we headed down the QEW to visit my dad and planned some activities for the day. 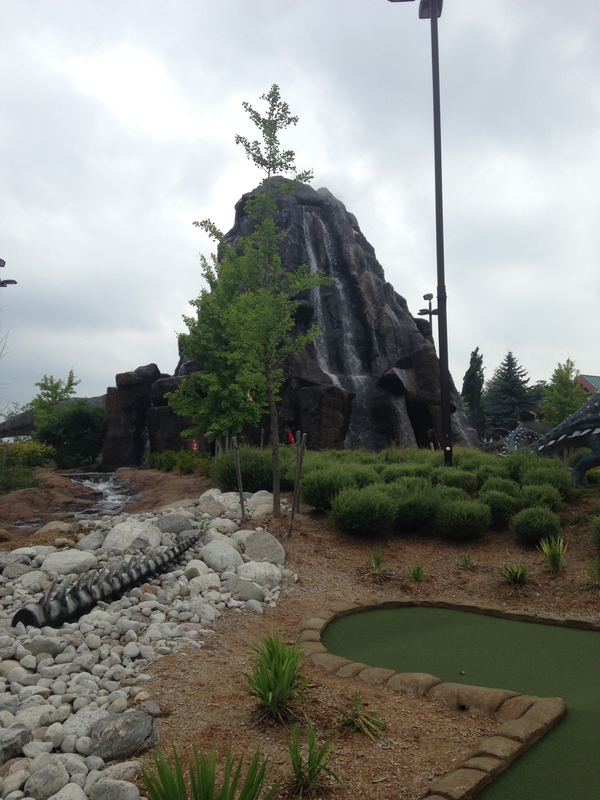 times I went looking for a new place to play and decided on Dino-Adventure Golf on Clifton Hill. It was a great course with an actual volcano that spewed fire. So much fire you could feel the heat when it erupted! It has 2 courses to choose from and you can find a dollar off coupon on their website. Another tip: Park a couple blocks away on Desson or North streets for free parking! As we walked back to the car we passed the Niagara Falls Memorial Arena where the OHL team used to play. 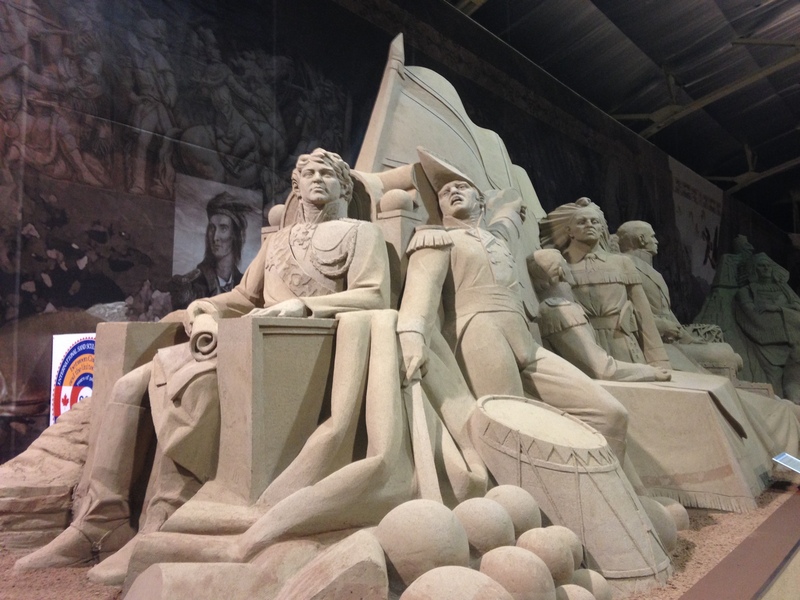 Now it houses the exhibit of sand sculptures depicting the war of 1812. We decided to pop in since my other half loves history and specifically the different wars and battles. What an amazing feat these sculptures are! We watched a video of how they made them that covered a bit about the war – this year is 200 years of peace since the war ended in 1814. I definitely recommend this as a stop if you are in Niagara. We then stopped for a quick lunch at one of our favourite spots – Johnny Rocco’s – good Italian food and gluten-free options too! before the World Cup finals started. 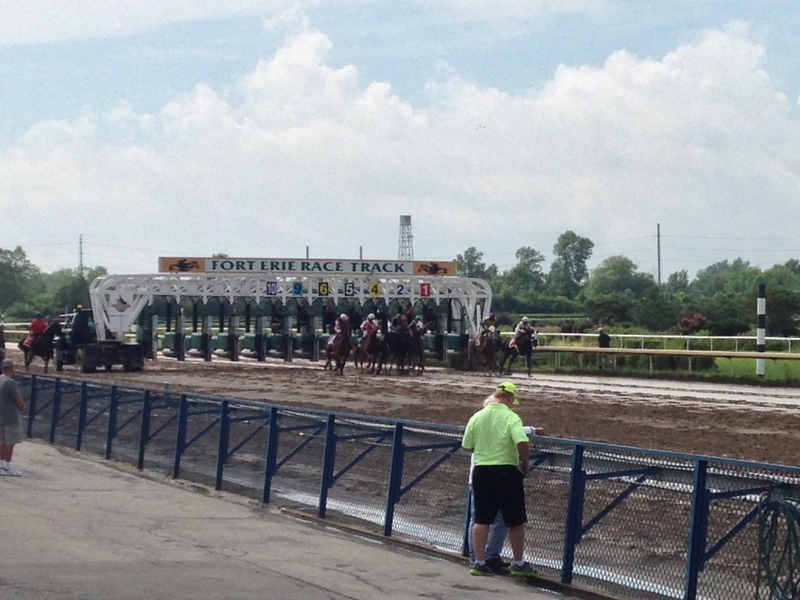 I love the track and was saddened when they announced it was closing – well it had a reprieve for this season and runs races on Sundays and Tuesdays. There is a Tiki bar outside right at track level that serves up great drinks and some days they even have live music. I hope I can make it back for another race this season and that they keep this track open for years to come.